As the nights are getting longer and the days are getting shorter, it won’t be long before we’re all snuggled up on the sofa and spending more time indoors. So I think it's time to re-decorate our homes turning it into a cozy and stylish place to spend these long nights. Invest in good candles to create a calm and warm atmosphere. I love to group them into one corner, not only it smells good but it also helps me to relax enjoying the simple pleasure of the ambiance of my space. Rather than switching on the main ceiling lights, try to focus on accent lighting such as floor lamp, lantern which doesn’t produce bright light source. I personally like the idea of placing a statement floor lamp in living room or reading nook to bring a practical ambient lighting. Update your colour schemes to embrace the deeper tones found in changing colours of autumn leaves. Think warm neutrals and earthy colours this season from sofas to cushions and rugs. Take a quick walk outside to get inspired from the changing colours of the leaves which will help you capture the crisp but cosy colour scheme. And if you are adventures like me and thinking to paint the four walls, its important to keep in mind that during winter the paint colour will look slightly different. The paint colour will look much colder then it was in summer natural light. Embrace the feeling of cosy this winter through supersized knitted blankets and a statement throw which will immediately transform the look and feel of your space. And update your resting corners by adding soft, fluffy textures. Add a chunky knitted throw, soft rug or some faux fur to your chairs, sofa and beds to encourage relaxation and snuggling. Swap lighter coloured cushions with a deeper hue to quickly transform the look of your sofa / bed. Try layering and mixing different type of cushions ( I prefer over-sized ones) on your sofa to add a touch of elegance, whilst maintaining a comfy atmosphere. For a timeless look or if you like to make a statement with a bold hue, velvet simply adds an element of richness to your home. And if your lifestyle doesn’t suit a velvet sofa, try adding few velvet cushions to embrace the look. So there you have it, few tips to prepare your home this winter. I hope you found them useful and would love to read your comments! PS.If you need some quick ideas to style / Re-arrange your space this winter feel free to contact me Here for a free consultation. 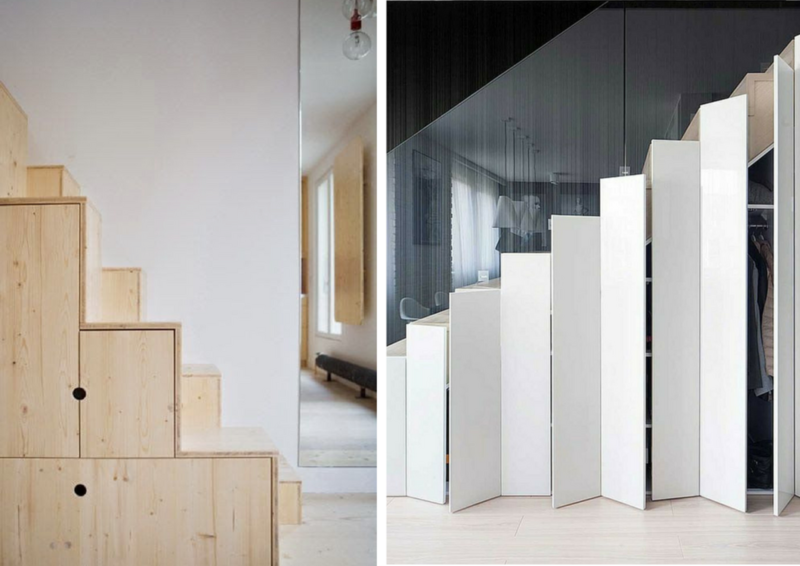 Many people use the obvious solution for the space under the staircase for storing shoes, accessories etc. especially if its near the entrance. It could seem a tiny space but there are many creative ways to make use of this space and make it seem much larger. How many of you actually thought of turning that space into working space? I think not many of you figured this out but I personally think its useful especially for those who work from home or freelancers. Just make sure that the stairs are wide enough and straight forward allowing you to place a table at least. Its always a good idea to provide space for kids to explore new things ,keep them busy for hours and a play house under the stairs is every child’s dream. How about a place to curl up and read a book or have a nap? Well, I think its that corner where you want to unwind or have a chat. Adding few cushions and storage underneath will Immediately add some value to the space. It has always been my dream to have hidden built-in storage in hallway. It feels like a secret doorway, but its actually a neat way to organize everything from shoes to kids toys creating a modern and sleek look to your home. You could also combine open shelves with closed drawers to have more room for objects you want to conceal and those you want to expose. Your home should reflect your personality so add a refreshing twist to that triangular shaped space to display a gallery wall or a cube shelving unit to act as modern library area. With summer just around the corner, its perfect excuse to refresh your home for a new look. One of the most popular and exciting interior design styles which were on trend for few years now and its one of my favourite interior style is the magical Moroccan style. It's rich, luxurious and exotic style has results from different culture blends including Spanish, Arab and sub-Saharan influences, making it a magical country. Adding few Moroccan elements can easily bring that warm yet exotic vibes into your space weather you live in modern or traditional home. And it's the perfect theme if you are planning to throw little party and want to create a unique atmosphere to impress your guests or simply make your home look like a vacation house. So here is my quick few tips on how to easily bring the Moroccan souks vibe into your homes...So keep on reading. Nowadays, you doesn't have to spend a fortune to achieve the warm and exciting Moroccan atmosphere , with just few bold accent pieces, vibrant textile and geometric prints you are already on the right track. The wall colour is a good starting point, consider diluting the paint to create a washed effect for an authentic feel or go for crisp white to make the bright accessories pop. If you are wondering what colours to use to create a bright Moroccan interior just take a quick look at their souks (marketplace) where you will be inspired with all these vibrant colours found in spices. Moroccan Interiors focus on details , add few layers of texture using brightly embroidered mismatched cushion in shades of pink, turquoise and green along with the Moroccan Handira (wedding Blanket) acting as throw on sofa / bed. Be super creative by mixing different patterned tiles to add an exotic vibe to dull areas such as the back-splash in kitchen. TIP: For Inexpensive alternative to wall tiles create a focal point using patterned stencil prints or Tile-inspired wallpaper . Moroccan style isn't complete without its main cosy elements including low seating furniture, rich rugs and floor cushions which will instantly give your room that North African drama. By Simply hanging few lanterns from the ceiling and placing an oversized Mirror against the wall you have already created a relaxed & warm atmosphere. Lighting is an important element in Moroccan interiors, it highlights the dark tones of your decor that you may have in your home and its best use for bedrooms or spaces where you want creates a soft ambience. 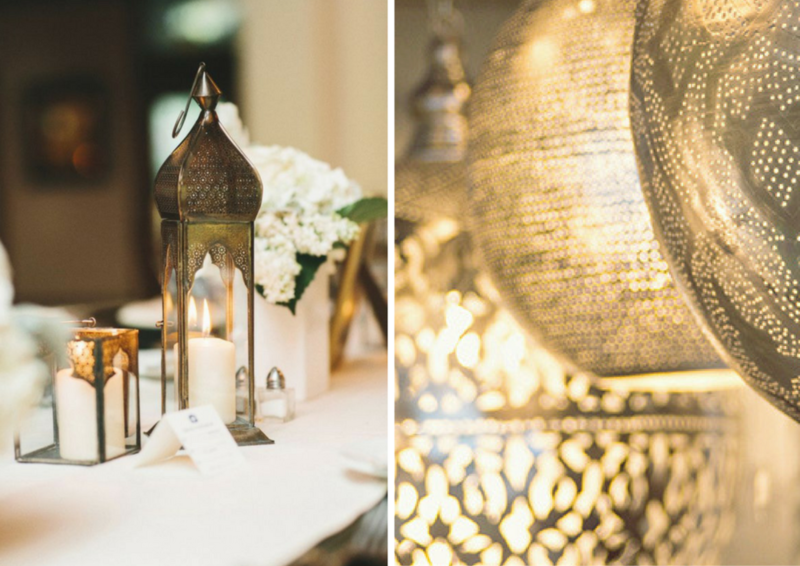 And it's no surprises that the Moroccan theme are very popular in any social gathering events so if you want to create a memorable atmosphere for next party simply invest in few Moroccan lanterns. TIP: To achieve a casual look, hanging few lanterns in various styles and finishes in corner of or as a focal point over a dining area. What I love about the Moroccan interior style is that you can mix with other minimal styles such as the Scandinavian to achieve a relaxed yet elegant atmosphere. When we think of the busy streets of Marrakesh we think bustling crowds,twinkling lights but Moroccan style can also look incredibly calm and sophisticated with carefully selected pieces. Pure white and minimal accents such as silver metals and monochrome will bring the calming casual feel into your bedroom with an few tealight holders ,candles and don't forget adding cushions for extra comfort. TIP: Mix patterns in the same colour Palette focusing at greys and neutrals shade or monochrome.